After a helmet, a pair of gloves is the most important safety equipment you should have. Having the best mountain bike gloves will help you keep the skin on your palms and ensure a better grip and comfort. In summer, the combination of sweaty palms with rubber grips on the handlebar can be fatal and slippery. Thanks to the gloves you can achieve a good grip on the handlebar and avoid covering everything with the sweat of your hands. 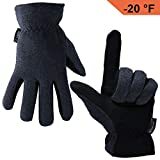 In winter, a good pair of gloves will guarantee you keep your hands warm and dry. There are hundreds of gloves available, with different styles and characteristics. To help you decide which MTB gloves are right for you, I made a selection with the best models and their characteristics. 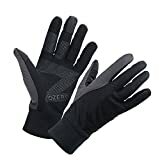 With the following guide, I hope I can give you a good idea of what you need to look for in a good pair of mountain bike gloves. The gloves with full fingers provide more complete protection and, obviously, winter gloves must be full length. 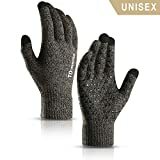 Half-finger gloves offer greater ventilation and tend to be used by road cyclists and XC runners, although as XC runs become more technical and dangerous, more and more runners wear full-finger models. 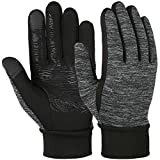 In winter you will need a glove that insulates and is resistant and impervious to water. I recommend you look for a glove with a long fist that goes beyond the sleeve to protect against the gusts of wind. For the summer, better a glove with good ventilation but without compromising the level of protection you need. Having proper gloves is very important. Because if they are small they will be uncomfortable to use, while the gloves too big will allow the hands to move inside them, decreasing the handlebar grip. Depending on the degree of difficulty and the conditions in which you go out with the bike you will need one type of glove or another. For more aggressive cyclists greater protection is necessary. While for those who have just started and still perform this sport casually, the requirements will be lower. In addition, if you do descent races, you will need even more protection, for this, the Leatt DBX gloves are your best option. Knuckle Armor: some gloves have a rubber, plastic or silicone armor on the knuckles to protect the hands from the bushes. Cleaning: Include a section of the towel in your gloves that can be used to clean sweat in summer or the nose that drips in winter! Filling: if you suffer from numb hands, the problem is probably in the configuration of your bicycle. However, there are some people who will have this problem anyway, so some gloves have pads on their palms to relieve pressure. Silicone fingertip: allows the fingers to better grip the brake levers. 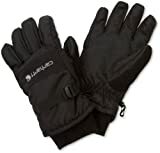 Compatible with smartphones: if you really need to use the phone, you will need gloves that work with touch screens. Those of “Winter” meanwhile are entirely opposite to those of summer. 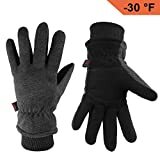 These are designed to be stiffer and thicker so they have the function to isolate the hands of any sensitivity and have integrated locks on each wrist to strengthen the fit and prevent our hands from being exposed to any number of breezes, winds or even portions of snow. 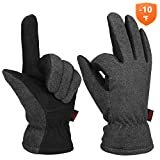 I hope this guide has been useful to find the best mountain bike gloves that fit your needs. 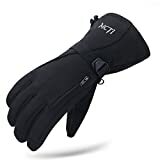 If you wish to comment or recommend a pair of gloves that you have included, you can use the contact form below.